It's a wireless world out there. Businesses need to keep up with mobile trends in order to stay relevant and meet the demands of clients. Many IT managers face a challenge with organizing wireless initiatives and optimizing mobile networks. They need an ally to help them design a strategy and stick to it. Investing time and resources into solidifying a mobile workflow for employees should be part of every company's business plan. Mobile optimizations save money in the long run because they increase employee productivity and cut down on lag time in communication. The mobile availability of key documents, programs, and communication tools allows for full user engagement. Users need the ability to rely on their mobile devices without technology hiccups and unintended productivity firewalls. A fully integrated mobile management plan means that employees are never truly out of the office. A mobile device can act like a virtual office that travels everywhere if it is set up the right way. Time spent trying to manage inconvenient mobile tools is time wasted. A poorly designed mobile model can have chaotic results. It can erode the productivity of employees over time and lead to duplication errors, wasted money, and frustration. 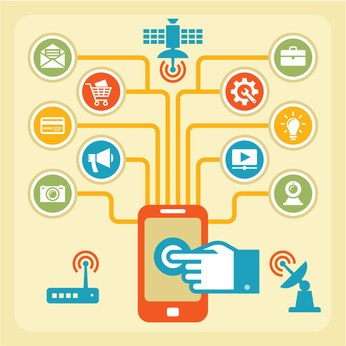 Mobile devices and wireless technology should always be an asset to a company, not a hindrance. That is why mobile optimizations are crucial to the fabric of a business. Data is power in today's economy. It is important to have a streamlined approach to mobile devices and wireless activity as part of a business plan. A mobile system operating at anything less than optimum potential can actually hinder employee productivity and subtract valuable money from a department's budget.